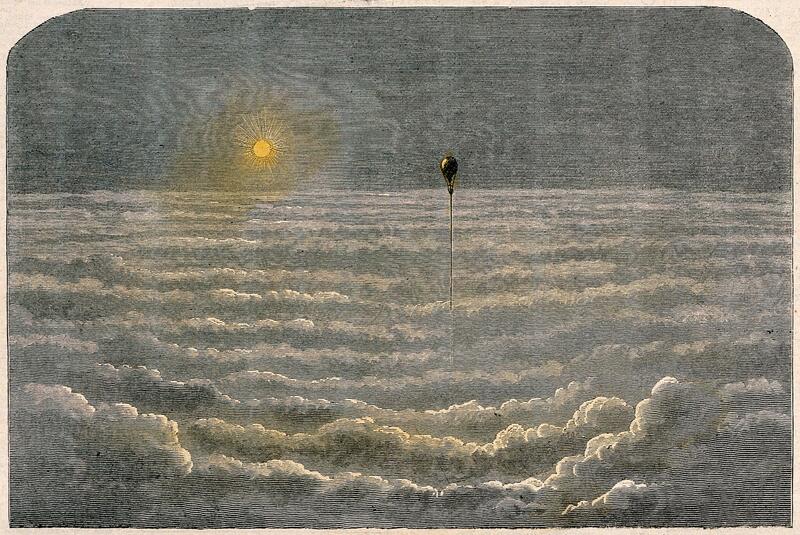 A hydrogen balloon flying high above the clouds with the sun shining on it. Coloured wood engraving. "Ariel Voyages". - Mountain ranges of clouds.